So, how many kinds of cute is this? Aww, it IS! 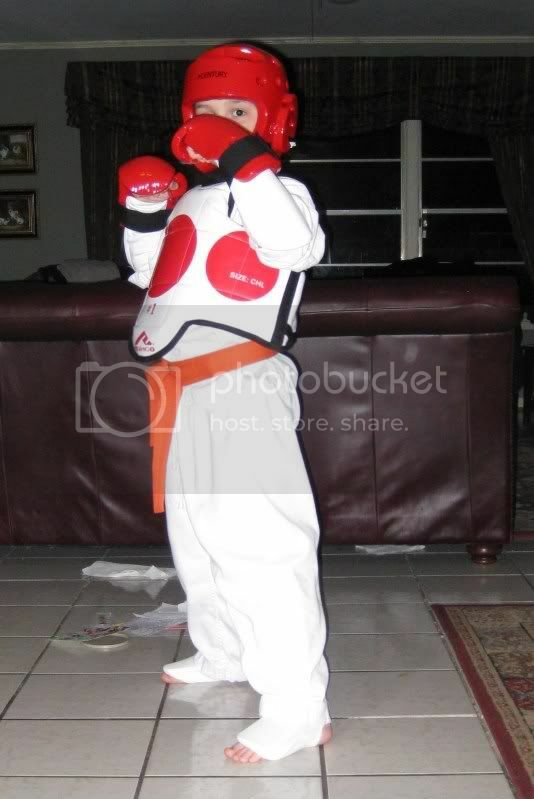 Ethan used to take karate lesson and spar. It was really cute!